Coloring for adults is all the rage these days – and for good reason. There are many benefits to adult coloring books, such as a noticeable reduction in stress. What do kids have that most adults don’t? A stress-free mind! That’s what happens when you color; your mind begins to relax and stresses melts away. Go ahead, be a kid again! Grab some colored pencils and an Art Therapy Coloring Book, and let go of all that built-up stress! When coloring your Art Therapy coloring book, you can use whatever art supplies you may already have around. However, we recommend colored pencils, fine tip pens, or gel pens. These seem to work best on the intricate details that are common to adult coloring pages. To maximize the stress reduction from your Art Therapy Coloring Book, silence your cell phone and turn off the TV and computer. Do whatever it takes to get rid of any distractions that may interfere with your coloring. Adult Coloring is all about relaxing and getting lost in the moment, not about multi-tasking. However, it can sometimes be more relaxing when coloring and passively listening to music or watching a movie. This step is essential to get the most out of coloring to reduce your stress. You must clear your mind and allow yourself to forget all your worries and responsibilities. Let all that go, just for the time being. It’s time to be a kid again and get ready to color! Let go of everything and live in the moment as much as possible. 04 / GET YOUR COLOR ON. Now for the fun part – Coloring! Feel free to let your instincts decide where to color, and what colors to choose for the coloring page designs. If you want to learn about color theory, that’s great! However, that is not necessary to color. Just choose a color, begin coloring, and pay attention to your stress melting away. It may take some time to relax completely and get into it, so don’t force anything. Just let go and have fun. Anti Stress Coloring – What’s All the Fuss About? Carl Young, a very famous psychiatrist, actually prescribed coloring to his patients. Coloring helps to reduce stress because it allows the fear center of the brain – the amygdala, to take a break. The amygdala is where we hold onto fears and stress, and it can become overactive. By giving our amygdala time to rest, stress is relieved, even after we’ve stopped coloring. This affect on your brain is what anti-stress coloring is all about. Start Coloring Your Stress Away. Whether you are stressed or just need a fun activity to do with a group of friends, coloring is the perfect solution. 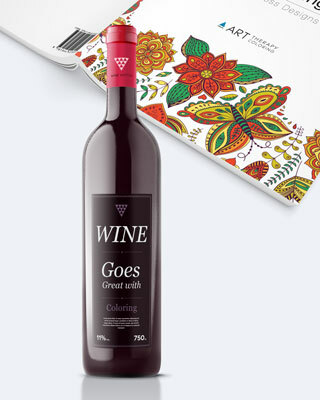 Adults everywhere are taking their coloring books, pens, pencils, and a bottle of wine to socialize with friends. Anti-stress coloring books allow people to have fun, let their worries melt away, and to enjoy the moment! 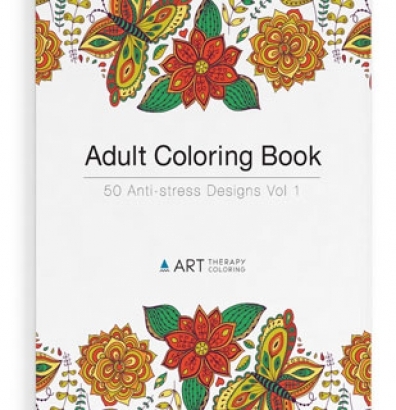 Here at Art Therapy Coloring, we have a broad range of coloring books for adults – both for therapeutic purposes and for fun. 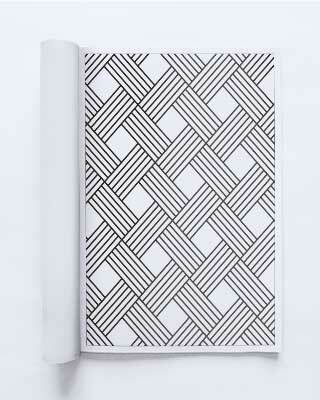 We have coloring books that should suit any person’s need. Adult Coloring is not just for women. Many men enjoy the anti-stress benefits of coloring. 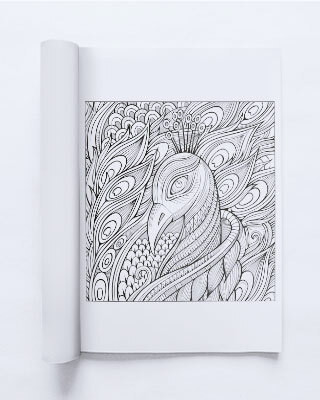 Art Therapy Coloring Books for Men are designed to appeal to men, including masculine types of coloring page designs like geometric designs certain subject matters that appeal to guys. We also have a line of adult coloring books for elderly individuals, which offer designs that are not too intricate, so they can see the coloring book page designs when coloring. However, these coloring books still provide some intricacy to keep them fun to color for any adult. Many people are attracted to adult coloring books because it allows everyone to awaken and express their creative side. Adult coloring books allow creativity without the need to possess professional drawing skills. You can express creativity through the use of color. You can experiment with different color mediums to create a beautiful work of art! 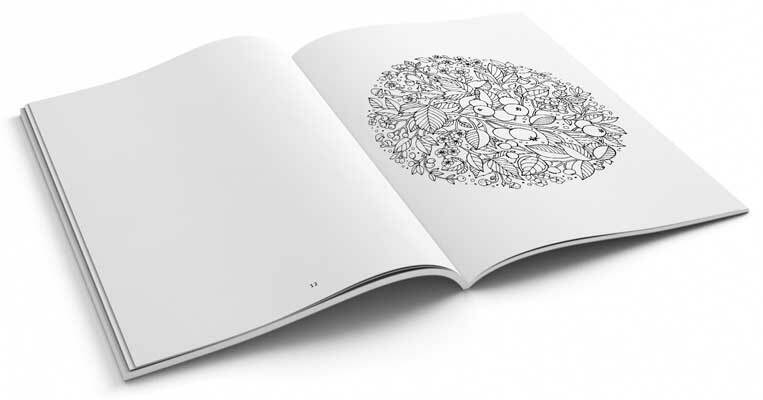 What Makes A Coloring Book An Adult Coloring Book? The difference between coloring books for adults and coloring books for kids is that the adult coloring books are much more intricate and detailed, which makes them more interesting and fun to color for adults. Grown-ups like a variety of attractive designs to color, so they can create some intricate pieces of artwork while getting lost in the fun of coloring. 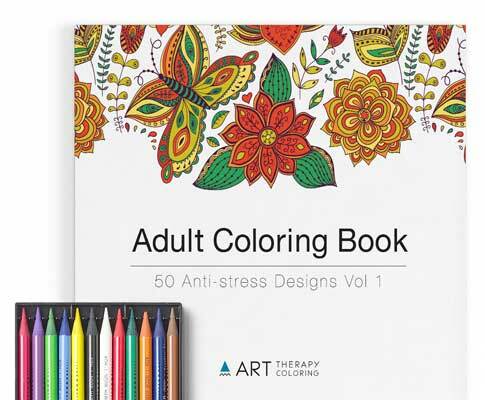 Art Therapy anti-stress coloring books are created to give adults a variety of fascinating and absorbing designs to choose.